Do you have a new pet? Are you new to the South Coast area? It can be difficult to get set up with a brand new veterinarian, but it is better to already know which animal hospital in Dartmouth to go to when you need one in an emergency, than to scramble around at the last minute trying to guess which one will meet your needs. While it might seem that every vet’s office is the same, offers the same treatments and can take care of the same issues, it is important to think about veterinarians and animal clinics like dentists or doctors that you would go see yourself. Some physicians specialize in treating certain ailments and issues, while other only see children, women or adults. Depending on your pet’s needs – and the type of pet that you have – you may need to seek out a specialty veterinarian to take care of specific things, such as anxiety issues in dogs, feline dental care or a sick hamster. Before choosing a South Coast veterinarian for your family pet, you will want to consider the things that matter most to your unique situation. Here are some starting points for an open and honest conversation with yourself and hopefully with your brand new vet. Think about them and how they apply to you and your pet, then talk them over with a representative of Anchor Animal Hospital in Dartmouth to find out if they are able to meet your needs. #1 – Are Emergency Services Available? It is important to know that you will be able to bring your pet in for an exam or for treatment 24 hours a day, 7 days a week. 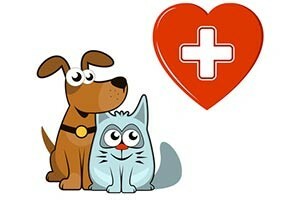 Find out what the plan is at your local vet’s office for emergency services. #2 – What Are the Office Hours? Not everyone works 9-5 in an office setting. It is important to know that you can bring your pet into the local South Coast veterinarian for a regular check-up or to deal with specific problems, such as anxiety issues in dogs. Ask about their regular schedule and find out if they make appointments to see patients over the weekend. #3 – Does the Veterinarian Treat Your Type of Pet? Dogs and cats are seen at just about every veterinary office, but what if you have an exotic or unusual pet? Find out if the clinic treats small pocket pets, reptiles, birds, amphibians and other types of non-traditional domesticated animals. Some clinics have specific vets who are trained to see your specific type of pet, so it is worth it to ask. #4 – How is the Reputation of the Clinic Locally? Word of mouth is still the best form of advertising. Many people will choose a South Coast veterinarian based upon the referral of family, friends, co-workers and neighbors over a fancy ad or a flyer in the mail. Anchor Animal Hospital in Dartmouth has been serving the local communities in Southeastern Massachusetts and Rhode Island since 1975, so no matter where you go, chances are someone can tell you about their experience with our clinic or the veterinarians we have on staff. #5 – Are Payment Options Available? Some veterinary offices are purely a cash-only operation, meaning that they do not accept pet insurance or payment programs. However, there are more and more offices that are now taking alternate methods of payment, understanding that not everyone can just afford to pay a big emergency bill out of the blue. Whether it is emergency feline dental care for an aging family pet or urgent care to help calm anxiety issues in dogs, when your family pet is in need of services, it’s nice to know you have options. Anchor Animal Hospital in Dartmouth accepts CareCredit, a nationwide credit program that covers veterinary work, as well as other medical services. #6 – Do They Offer the Types of Services Your Pet Requires? While there are a lot of South Coast veterinarian groups that will refer you off to a specialist for specific types of treatment, it’s good to know that there are some who do a lot of those services in house. For example, Anchor Animal Hospital in Dartmouth provides a wide array of services above and beyond basic veterinary care, including doing labs, x-rays and ultrasounds on-site, as well as handling dentistry, pharmacy, services for small mammals – even surgery and pain management. The team of veterinarians attend regular seminars to increase their knowledge regarding new treatments and procedures. For example, Dr. Kate is a Certified Veterinary Medical Acupuncturist to help patients deal with the pain and symptoms associated with spinal cord injuries, arthritis, oncology pain, incontinence, serve disease and more. Read our doctors page for more information on all of the certifications, training and specialties of our staff. To learn more about Anchor Animal Hospital in Dartmouth, or to schedule an appointment for your pet to get a check-up at our South Coast veterinarian clinic, give us a call at 508-996-3731. Our team of friendly staff members can help answer your questions, provide you with information about our services or schedule a start up appointment for you and your pet.